Many of the Distribution Lists you create you'll want your Members to be able to choose whether they want to join it or not. The system allows you to set each list individually on whether you would like Members to access this list when they are joining or renewing their membership. 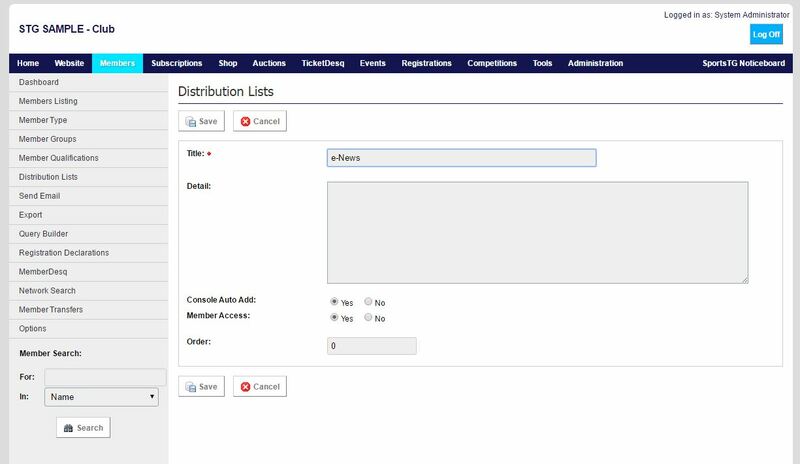 This will then automatically add them into the Distribution List, cutting down your administration time in adding them into this grouping. 2. Click Edit next to the list that you wish to allow members to join. 3. Change Member Access from No to Yes. 4. Click Save and members will now be able to select to join the list when registering or updating their details. Note: This will allow all members to select to join the Distribution List. There is no way to limit this so that only certain members are able to access the group.